FUN and FESTIVE Animal Print latex Balloons! Helium Quality! Each balloon inflates to 11″. The perfect unique touch for your animal-themed party or event! 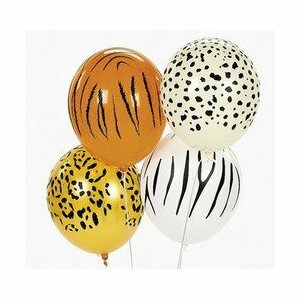 Four styles – you will receive a random assortment of Tiger, Cheetah, Leopard and Zebra print balloons.